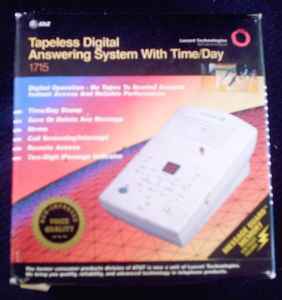 I saw your ad for the AT&T DIGITAL ANSWERING MACHINE BRAND NEW SEALED IN BOX http://newyork.craigslist.org/brk/ele/2152094212.html. I think it looks really great and modern and I think it is really something that I would use and totally need. I didn't even know that we had digital technology for this now. Sorry for the late reply I just got back from a Coolio show. Part of the tour he is on promoting his hit song "Gangsta's Paradise".